Hi readers! If you like to read Christian fantasy fiction stop by and visit Lee over @ Butterfly Blessings blog. 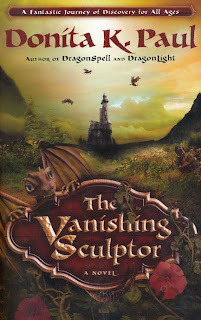 You can enter for your chance to win The Vanishing Sculptor by Donita K. Paul. If you want a chance, you have to stop by and enter before Monday, November 2!!!!! The only christian fantasy I've read is C.S. Lewis! This looks great! Thanks for sharing.